I do not want to be a part of any dinner that does not end with some kind of chocolate mint. Ever since a more innocent time in which After Eight mints were the height of sophistication – and something about that box still screams class to me after all these years – I have relished the gluttony in enjoying a mint chocolate after a full meal. 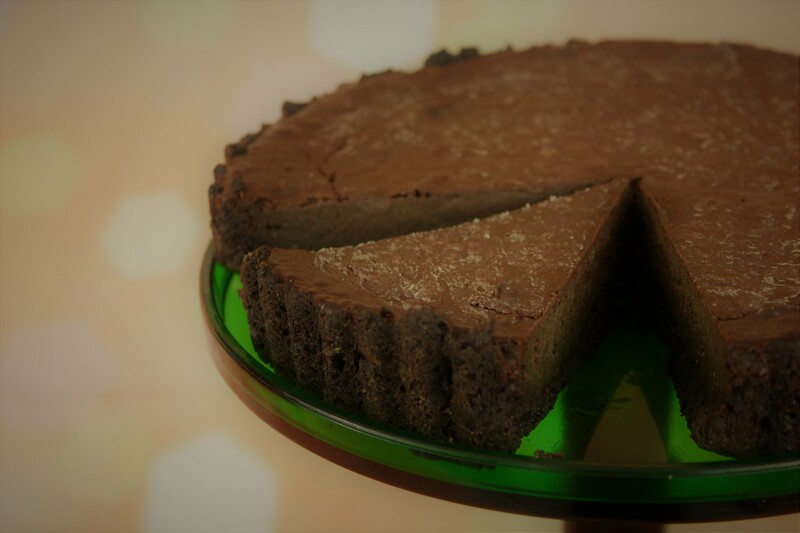 This chocolate tarte is my homage to the After Dinner mint in all of its decadent glory. To make the biscuit base, first blitz Mint Oreos in a food processor until they are a fine crumbs. Pour melted butter into the processor whilst mixing and combine into a wet rubble. Tip the butter-soaked biscuits into a flan dish and press first up into the sides of the tin and then into the bottom until no holes are visible. Bake the base in a preheated oven for 25 minutes. To make the filling, gently heat double cream and sugar in a saucepan until bubbles are starting to form around the edges of the pan. Turn off the heat and immediately add small pieces of dark chocolate and butter to the cream. Stir only to cover the chocolate in cream and leave to melt. After a few minutes, stir until you have an even ganache of chocolate, butter, and cream with no lumps remaining. Beat 3 eggs with 2 additional egg yolks in a bowl. Stirring vigorously, add the beaten eggs into the chocolate mixture a third at a time. Beat each addition to disperse the eggs quickly into the mix – because nobody wants scrambled eggs in their chocolate. Once all of the eggs are incorporated, pass the chocolate mixture through a sieve into a large bowl. This will collect any stringy bits of egg and leave you with a perfectly smooth tarte mix. Stir in peppermint extract or Kendall Mint Cake Liqueur to taste. You want to be able to taste the mint in the dark chocolate. Pour the chocolate mixture onto the cooked biscuit base and bake for a further 20-25 minutes until set on top but with a little wobble. Allow to cool before removing the tin and serving in generous slices with strong coffee.